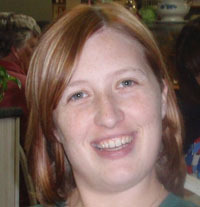 Rachel M. Delisle, Sr. Lean Six Sigma Black Belt, KARL STORZ Endovision Inc.
Rachel M. Delisle is a senior lean Six Sigma Black Belt at KARL STORZ Endovision Inc. She earned a bachelor’s in manufacturing engineering and an MBA from Worcester Polytechnic Institute. Delisle has been an ASQ member for seven years. Here, Delisle answers some questions related to the importance of Six Sigma. Six Sigma provides a structure to problem solving that normally wouldn’t be there and results in better solutions to problems. Without quality, people aren’t happy. It doesn’t matter if it is quality of product, service, interaction, work, life or anything else. Without quality, someone is disappointed. Customer satisfaction and the feeling of knowing you made something better. I fell into it by accident and realized it is my passion. Grow a thick skin. By nature of the job, you will at some point have to tell someone they can’t do something, didn’t do something right, or can’t do something anymore. This isn’t always taken in the most positive way. Expect some flack and know it isn’t personal. It just comes with the territory.